The first 14 tracks on the delightful CD are Japanese tunes composed between the Edo Period and 1949 which have been arranged for the Irish Harp by Michiko Semba. The CD finishes with Midnight Light an original composition by Michiko, 3 traditional Irish Tunes and a traditional lullaby from Denmark. 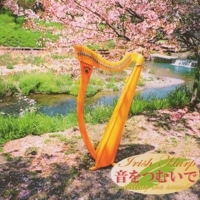 The sheet music - Japanese Tunes for Irish Harp, with the scores of the first 14 tracks is also available.